XapFM redefining INTERNET RADIO. Giving our listeners the artists, songs and mixes they want to hear whenever they want, wherever they are! XapFM is proud to showcase the musical talent of Abraham Weaver. Please leave him your comments here. Special podcast channel created by John Zapata for XapFM. The songs from legendary Beto Ramon. All episodes created by John Zapata for Beto Ramon. Chicago's Greatest Hits .. Compiled by John Zapata for XapFM. A new 2015 release and a surprise release just as STRAIT announced his upcoming Spring and Fall 2016 shows scheduled for LAS VEGAS. Another GEORGE STRAIT gem. All 13 songs are original several of which were written by GEORGE & BUBBA STRAIT. Recorded in Nashville with Nashville's current a A-team consisting of fiddle, pedal ... Maggiori informazioni steel, electric lead guitar, acoustic guitar, piano, electric bass, mandolin, dobro, with background vocals. Another great GEORGE STRAIT recording. STRAIT's first studio album in 2 years. Track Listing: 1. "It Was Love" 2. "Cold Beer Conversation" 3. "Let It Go" 4. "Goin' Goin' Gone" 5. "Something Going Down" 6. "Take Me To Texas" 7. "It Takes All Kinds" 8. "Stop And Drink" 9. "Everything I See" 10. "Rock Paper Scissors" 11. "Wish You Well" 12. "Cheaper Than A Shrink" 13. "Even When I Can't Feel It"
Special podcast created by John Zapata of XapMusic for XapFM. 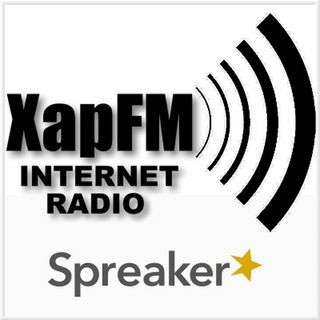 Visit the Spreaker.com website and become a XapFM "Follower" for more music, special programming and free special downloads. "Followers" receive advance notification of new programming and never miss an episode! Music from Kary Monreal's new release "A Mi Manera." Podcast by John Zapata for XapFM. La Fe Cafe con Javier Galvan. Where Jesus speaks Tejano. The music of Michelle Chel. All episodes created by John Zapata for XapFM. The music of The Monterrey Project, a Tejano Show Band from Nuevo Leon Mexico. Podcast created by John Zapata for XapFM. Music from Roger Velasquez and the Latin Legends. The best cumbias just for you. Show created and produced by John Zapata for XapFM. XapFM Hot 50 Latin showcases the greatest Latino artists and hottest in Latin music. Programming is updated weekly. Created by John Zapata for XapFM. "Into The Night" features a collection of beautiful romantic love songs. This show is hosted by XapFM's creator and owner John D Zapata. "Juan on One with John Zapata." An up close and personal look at the music makers, stars of Latin music and the movers in the Latin community. This weekly show features live interviews from remote locations. Hosted and produced by John "Xap" Zapata from TejanoEntertainment.net and XapFM, . All rights reserved by ... Maggiori informazioni the Tejano Entertainment Network © 2019. Rebroadcasting/distribution rights are available by contacting John Zapata at XapFM@TejanoEntertainment.net. Latin Radio Network programming by David Zapata. LIVE Broadcasts from LEMA FOUNDATION events. DOWNLOAD and SAVE to listen later. XapFM - TejanoEntertainment.net presents new Tejano music releases from new artists and Tejano legends. Podcast created for XapFM by John Zapata. Music from the 60s, 70s, and 80s. Created and remixed by John Zapata for XapFM and Radio 678. Some episodes may be downloadable. La Reina 104.3FM and the Tejano Entertainment Network (TejanoEntertainment.net) join forces to bring you special events throughout the Texas Hill Country. The new Tejano Country Music Show features the newest Country hits as well as the latest Tejano Country releases. This show is produced by John Zapata for XapFM and the Tejano Entertainment Network. Featuring all 35 winners of the Tejano Music Awards Song of The Year from 1981 to 2015. This five part downloadable podcast is heard exclusively on XapFM. Podcasts created and produced by John "Xap" Zapata.